This beautiful jazz history wall calendar explores the history, careers and lives of the defining Jazz musicians, including quotes in their own words. Illustrated with rare historical jazz photos from the Institute for Jazz Studies at Rutgers University. 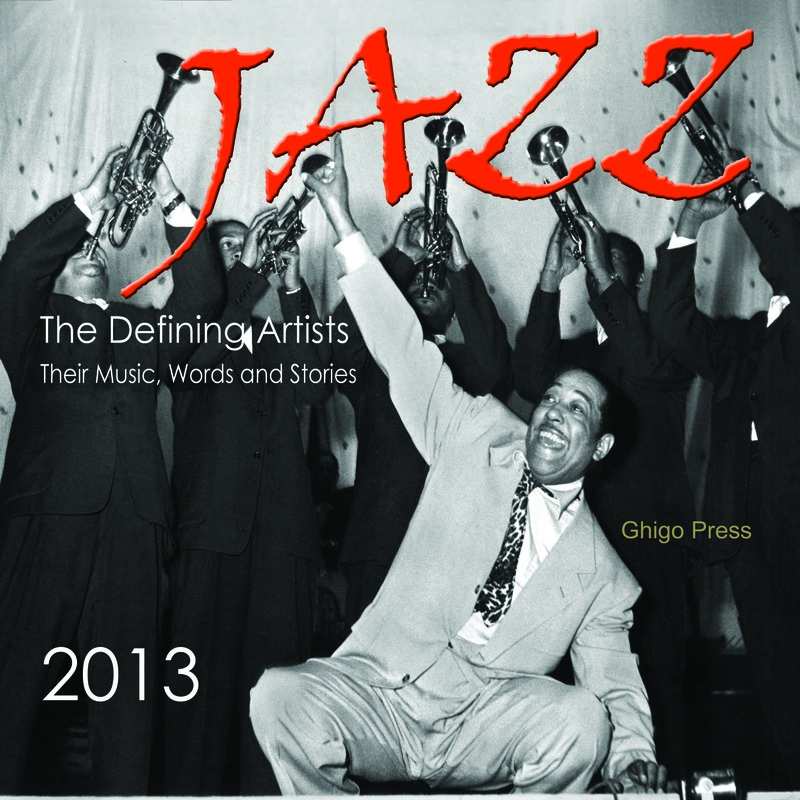 This 2013 Wall Calendar, replete with Jazz History is a fascinating addition to the Jazz and music lovers library. JAZZ, The Defining Artists 2012 Jazz History Calendar also includes suggestions for listening. 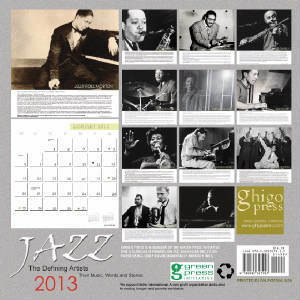 This 2013 Jazz calendar is printed in California USA, on recycled paper and uses soy ink. Ghigo Press is a member of The Green Press Initiative.